The next segment of DLSR photography that we will cover is ISO. If you missed them, you can learn more about exposure and aperture by clicking here and shutter speed by clicking here. I highly recommend reading those posts before continuing. ISO stands for the International Organization for Standardization. 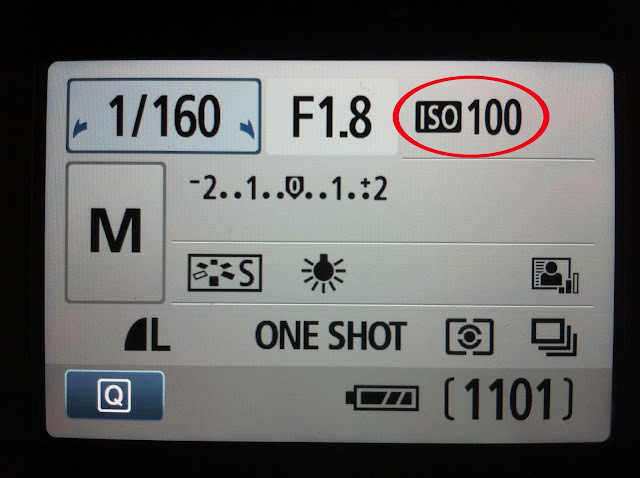 ISO is the sensitivity of the camera's sensor to light. ISO numbers usually start at 100 and can go up to 12,800 or higher. My camera allows me to put my ISO as high as 6400. The lower the ISO number, the less sensitive to light the camera's sensor will be. 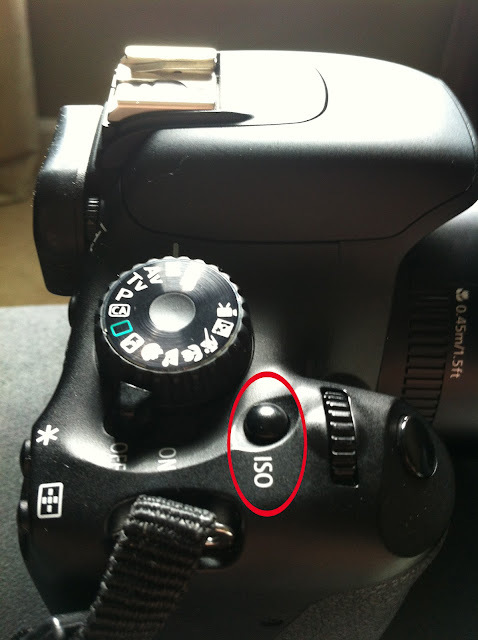 The higher the ISO number, the more sensitive to light the sensor will be. If ISO is set to 100 there will need to be more available light, or the aperture and/or shutter speed will need to be manipulated to let more light in. It is tempting to crank up the ISO when more light is needed. Avoid this pitfall at all costs. The higher the ISO is cranked, the more camera noise can show up on an image (think of a grainy, or less crisp and clear image). The amount of noise created by cranking the ISO depends on what camera is being used. With my camera, I start to notice noise once my ISO is set to 800 or higher. I always look at the situation I am photographing first to determine which element of the exposure triangle is most important for me to focus on. For example, if background blur is the most important element that I want from a given image (I use this alot in food photography), I will set my aperture first. Next, I will move to setting shutter speed. I always try to use any combination possible between shutter speed and aperture to get a properly exposed image before I increase the ISO. A different situation may call for my shutter speed to be the most important element. This would be any instance where I want to either show or stop movement. For example, if I am shooting photos of my dog (she is always moving - and fast!) I would need a fast shutter speed. In many situations where my shutter speed is very fast, even with the aperture open all the way up (to let more light in), I still do not have enough available light to achieve a properly exposed image. This makes boosting my ISO necessary. Increasing ISO is fine and often necessary, just try not to use it as a crutch. Boost ISO when all other options have been experimented with. 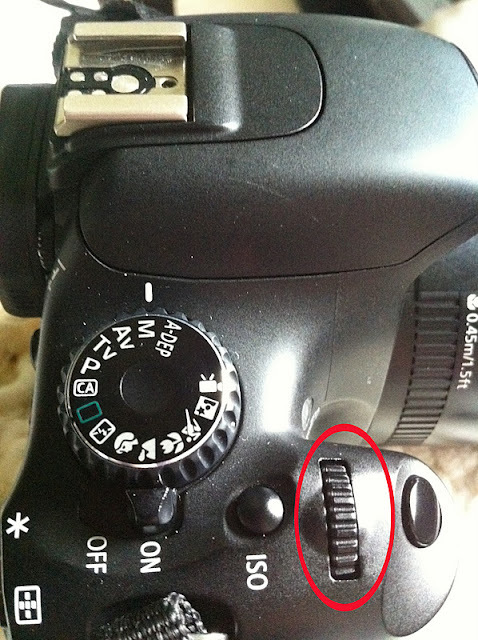 Below are the steps to change ISO on my camera, most Canon DSLRs have similar steps. 1.) The image Below is where ISO is shown on the home screen. It can also be found when looking through the viewfinder, on the bottom right. 2.) To change ISO hit the ISO button on the front of the camera (location below). 3.) This will prompt the ISO screen to pop up (or will make ISO the highlighted option through the viewfinder). 4.) Move the front dial (pictured below) to select which ISO number to use. There are many ways to create a properly exposed image. 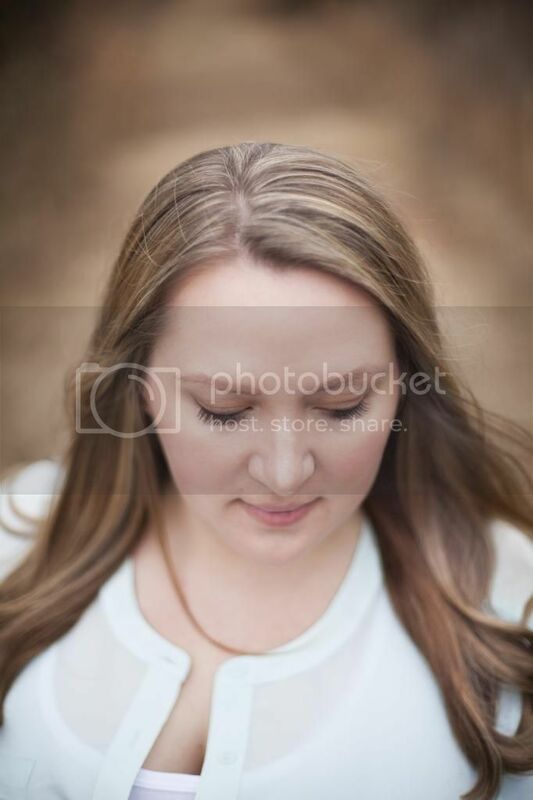 Any single setting is usually interchangeable with another setting to create the same exposure. Basically, it is all about playing around with your camera, shooting a lot, and comparing images to decide what works best for you. Is there anything that you would like me to cover next? Hahaha, I wish these tutorials were around when I started teaching myself all of this stuff like 8 months ago!!! oh gosh, I need to go back and start from the begining. just got my canon rebel for my birthday...and I am a total newbie. Oh my goodness. THANK YOU for sharing all this information! I need to start at the beginning. i'd love to get a 'real' camera. when i do, i'm coming back here to learn all about how to use it. until then i will point and shoot. i think it is great that your maiden name is lyke and how you worked it into your blog! Wow. That is really good info as I am such an amateur! Thanks for commenting on my post today. Hope you're a new follower! Following you now. Funny - this post just reminded me I need to readjust my ISO since I had upped it this weekend for an indoor, low light picture.